6” x 6”. Gold ink, acrylic, texture media, paper and adhesive on canvas. 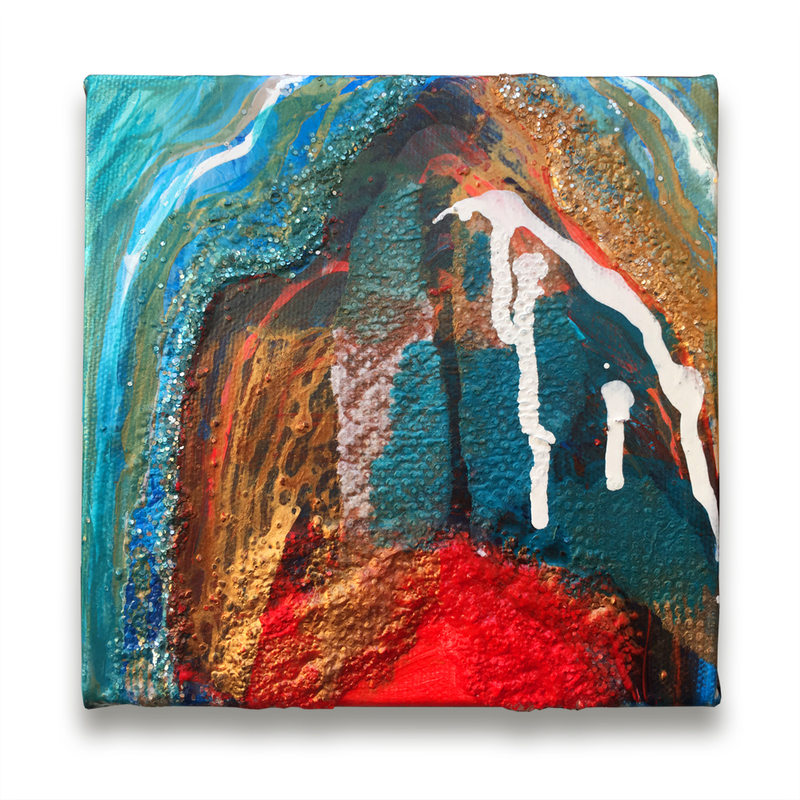 Fire and Ice II is a brilliantly colored abstract with fascinating textures and a bold palette of turquoise, gold and red.